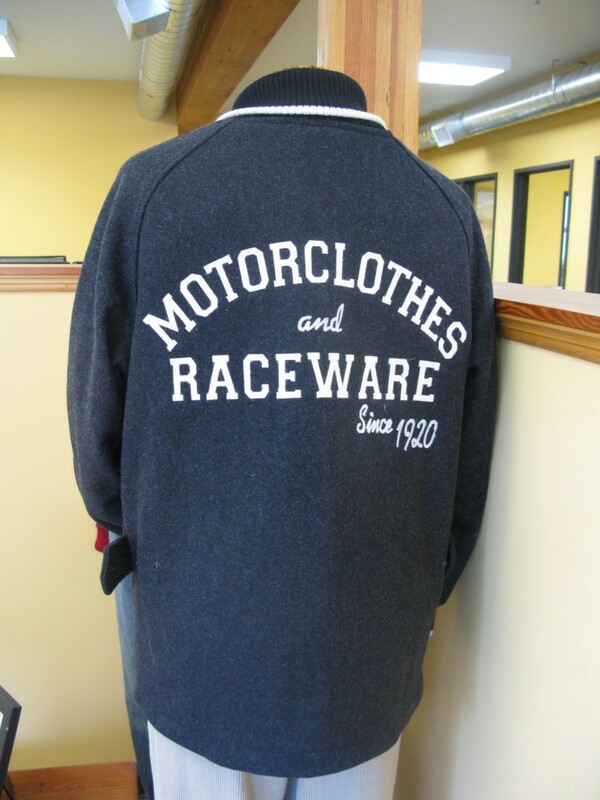 The Car Club Coat (also known as the Clicker Coat) is the longer version of the Varsity jacket mostly worn by team coaches, team guides or club members since the late 1940ies. 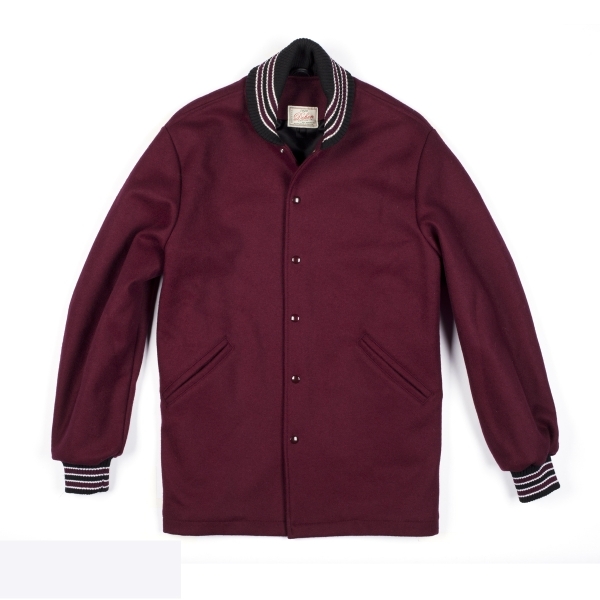 It has a front closure with snaps, rolling knit collar and knit cuffs and 2 slanting pockets, no leather sleeves. 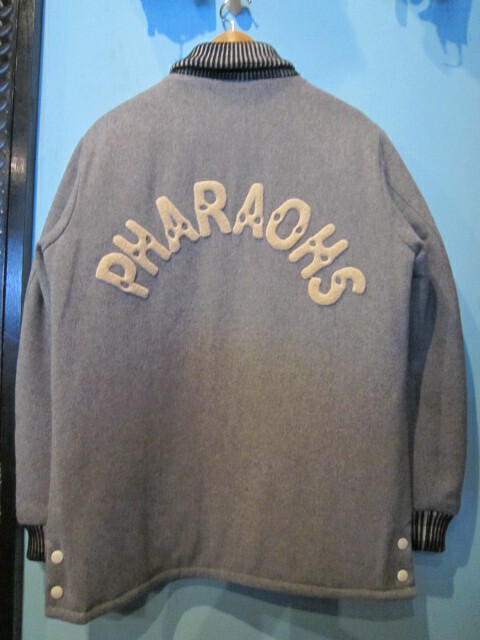 It plays a leading role in George Lucas’ epic movie American Grafitti, 1973 where it is worn by the gang members of the Pharaohs, a gang of greasers who coerce Curt (played by Richard Dreyfuss) through an initiation rite that involves hooking a chain to a police car and successfully ripping out its back axle. Very funny scene. Beau Gentry as Ants, Manuel Padilla jr. as Carlos, Richard Dreyfuss as Curt and Bo Hopkins as Joe Young, American Grafitti, 1973. Manuel Padilla jr. as Carlos. 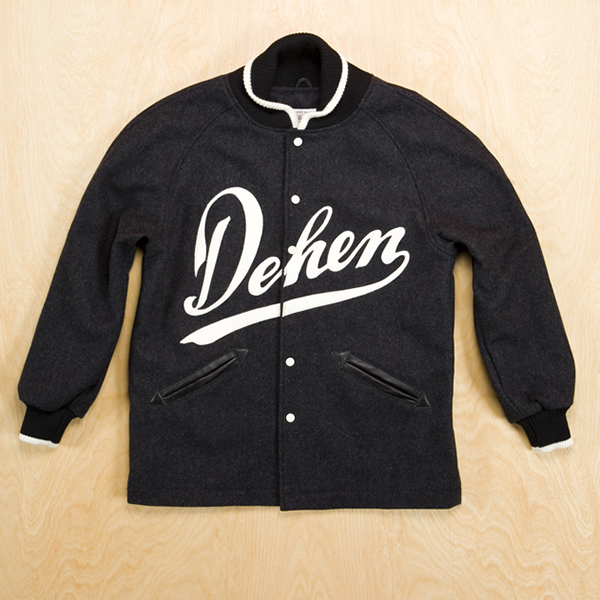 Dehen1920’s version of the iconic Car Club Coat, from the current collection. Available in Maroon, light grey and Charcoal. special edditon with leather at pockets and chainstitch logo on chest. 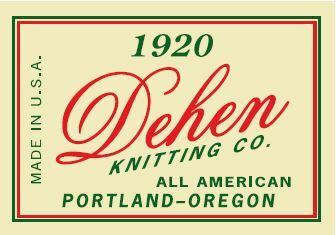 Decoration sample in showroom of head office, Portland, Oregon. director George Lucas on the set wearing a Varsity jacket too. The car was a 1951 Mercury with a chopped top. In the 1980ies is was owned by Brain Setzer of the Stray Cats for a while. This entry was posted in Uncategorized and tagged American Grafitti, Bo Hopkins, Brian Setzer, Dehen1920, Jr., Manuel Padilla, Mercury, Richard Dreyfuss, Stray cats, Varsity by AMTRAQ. Bookmark the permalink. Good work, love the post a lot.